At the Office of University Communications at the University of Central Oklahoma, we bleed bronze and blue — Pantone 116 and 282, to be exact. The University Communications staff of professionals promotes Central to the community through news releases, media relations, advertising, branding and marketing initiatives, publications and electronic media — and, of course, using the university's official colors (that's the Pantone 116 and 282). We also serve as the public relations/advertising/marketing agency for the university's many departments, offices and programs, ensuring the Central story is communicated in a way that is consistent with our branding and graphic standards. Here, you can find the latest news releases, information on the services we offer and how to contact us, as well as many resources and guides to get you started on your project. You can even get connected to our social networking groups. 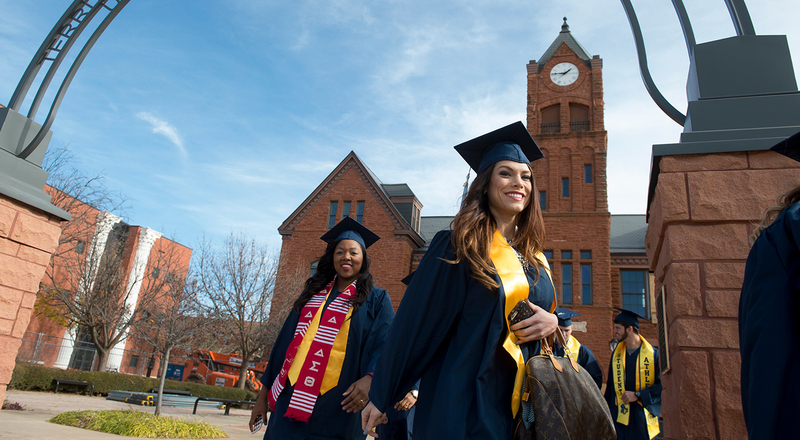 We believe the University of Central Oklahoma is a thriving, opportunity-rich institution located in one of the best metropolitan areas in the country with innovative students, faculty and staff who make a difference in our world. It is our pleasure to share the Central story with you. Video is a powerful, highly effective tool used by Central to promote our message to a variety of audiences. Our staff of professionals produces, shoots, scripts, edits and provides voice over services, creating a high-quality video targeted to specific audiences for Central departments. Any and all video produced by the Office of University Communications is owned solely by the University of Central Oklahoma, and, thus, any proposed use must be approved by our office. For more information, contact Sam Ferguson, Videographer for University Video Services, at 405-974-2124 or sferguson6@uco.edu. Connect with UCO on social media! Whether you're a current student, alum, faculty or staff member, we're confident there's a UCO social media account that will benefit you.